Paris-based Adok develops technology that can turn any surface into an interactive touch screen display. 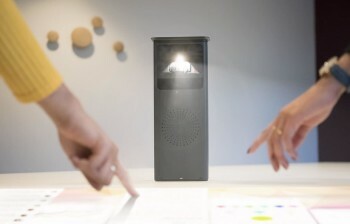 At CES 2019, the company presented its smart projector and meeting assistant system. The fully autonomous Adok projector runs Windows 10 and enables you to access business-critical apps, such as Trello and Office 365. In addition to the projector, the company’s software product, called Adok Meetings, enables users to plan, conduct, and debrief meetings. According to Adok’s Cofounder and CEO Paul Peretie, customers can implement these solutions to save valuable work hours by simplifying the meeting process, from planning to follow-up. The Adok projector is available on the company’s website and will soon be available via distributors in Europe and United States. The Ollioules, France-based Boarding Ring team is tackling the growing problem of virtual reality motion sickness. 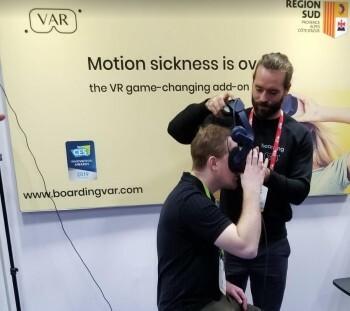 The company’s Boarding VAR device can be adapted to any VR headset to prevent “sensorial conflict,” which causes nausea, dizziness, and headaches. The device is slated to hit the market at the end of 2019. 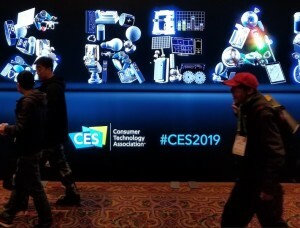 “For the moment we are in the pre-industrialization step and this is the prototype,” Suc said, referring to the demo unit on display at CES 2019. The company, which is currently searching for funding and working on R&D, also develops other products to address motion sickness, Suc said. Additional details are posted at www.boardingring.com. Amsterdam-based BrainCreators was launched by artificial intelligence (AI) experts in 2012. Today, the company helps large enterprises to roll out their AI strategies in a variety of verticals, including telecommunications, insurance, and manufacturing. For example, BrainCreators assists manufacturers in implementing automated quality control and predictive maintenance solutions. BrainCreators offers its customers a range of services, including training, implementation, and deployment. 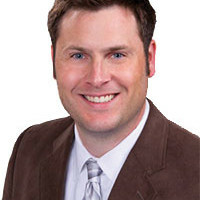 Brain Matter is the company’s data labeling platform, which it licenses to enterprise customers. Current customers include large internationals such as DHL and well-funded startups working in a variety of areas, such as brain scan analysis, Wognum said. You can learn more about the company’s technology at www.braincreators.com. “We’re getting ready to launch a crowdfunding campaign through Indiegogo in the next few months. 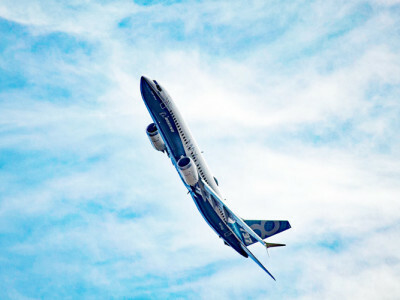 And if that’s successful, we’ll be able to deliver a development kit sometime late summer,” Guard said. In addition to finding brand partners and investors interested hardware, the company’s goal is to build its developer community. To do so, they offer a demo that shows “someone being able to control movement in virtual reality with their feet” and receive haptic feedback, Guard said. VR enthusiasts can learn more at www.brilliantsole.com. 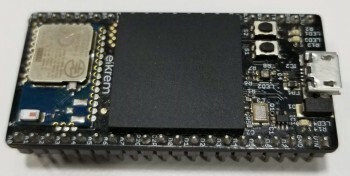 Elkrem is a Cairo, Egypt-based startup that develops solutions for designers interested in building IoT products that communicate with decentralized technologies such as Ethereum and Bitcoin. At CES 2019, the company presented a Blockchain IoT Development Board – which is currently unnamed — that enables designers to create and deploy IoT devices securely without having to rely on servers. “The board has the simplicity of an Arduino, the power of a Raspberry Pi, and the security of hardware crypto wallet,” CEO Amr Saleh said of the board, which will likely cost developers less than $100 once it hits the market. Saleh anticipates that the board will be available in Q2 2019 after the company is sure about the production timeline. Visit www.elkrem.io for updates. Berlin-based German Autolabs is a startup focused on building AI- and voice-powered assistance systems for the mobility market. 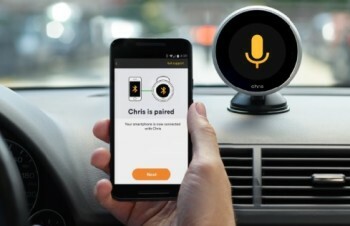 At CES 2019, the company showcased Chris (€299), which is an intelligent, connected mobile device that enables drivers to easily and safely communicate (via phone, messages, or emails), navigate, and play music using speech and gesture technology. Updates are made completely through the app. using speech and gesture technology. Although Chris speaks and understands German and English, it is currently available only in Europe. There are currently around 2,000 units on the road. Mieves said the company would like to see a five-digit number of devices on European streets within the next year and perhaps launch a device in the United States at CES 2020. Visit www.germanautolabs.com for more details. “We have the technology to run a very large-scale deep learning interference on Raspberry Pi,” Founder and CEO Koichi Nakamura said about the platform, which enables users to detect information on the edge and send only summarized data if it is necessary. Thus, the solution can significantly reduce network traffic and server computing costs. Nakamura explained that deep learning is intended to replace human participation. The applications for Idein’s solutions include traffic monitoring, in-store customer tracking, and factory production monitoring. “We don’t create the actual solutions for end users or end customers, but we provide this fundamental technology to solution vendors,” he added. The company intends to release a production version of Actcast within the next several months. Head over to https://idein.jp for additional information. Petronics’s Android- and iOS-compatible Mousr is an interactive robotic toy for cats and their owners. The innovative system was developed to act like a real mouse and to react to a cat’s movements. 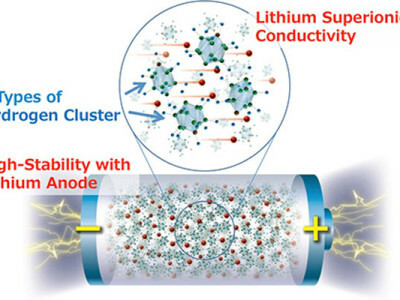 The product was developed a few years ago by a group of graduate students in electrical engineering at the University of Illinois. 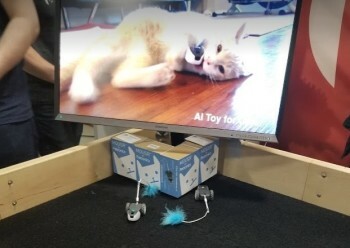 According to Cofounder Michael Friedman, the team decided to combine its interest in robotics with its love for cats. “We were really interested in a doing a robot that would come out now and not a $40,000 robot that you see at CES but never actually makes it to the market,” Friedman said at the company's CES 2019 booth. The process took about three years, and the team launched Petronics and launched Mousr on Kickstarter in 2014. In 2018, the company focused on perfecting Mousr’s hardware and software, Friedman said. “2019 will be about expanding sales,” he noted. Most of the company’s sales right now are in the United States, but the European Union is a target market. You can purchase Mousr at www.petronics.io. It ships to the United States, European Union, Australia, and a few other countries. It is also available on Amazon in the United States. 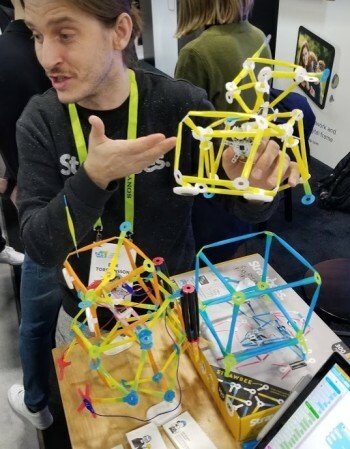 Gothenburg, Sweden-based Strawbees develops STEM prototyping kits for makers of all ages. 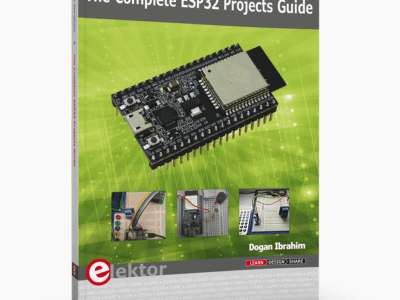 The company offers a variety of kits, including an Inventor Kit (comprising straws, connectors, and 21 maker projects), a Coding & Robotics Kit (comprising 200 pieces and electronic components), and more. Since its founding in 2015, Strawbees has gained international recognition for its fun, engaging prototyping kits. Its products, which have been featured widely via major media outlets, are used for both education and play by users as young as preschool students. Erik Thorstensson presents Strawbees kits. Visit www.strawbees.com for more information about the various prototyping kits. Virtual reality (VR) technology is poised to revolutionize the real estate industry. Mulhouse, France-based Viewwer has developed a platform to create and publish real estate virtual tours with a smartphone. By creating VR tours, the startup aims to accelerate the sale of new homes. With a smartphone and an app, users can quickly and easily create a 3D model of a property. Typically, when you want to rent, buy, or sell, you go on a web platform that includes pictures and text about properties. Viewwer intends to improve the experience by enabling potential customers to immerse themselves in properties through VR. Saidani said the application should be available in March 2019. 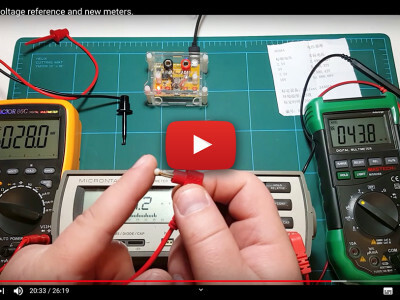 Visit www.gizmo-experience.com for additional details about Viewwer’s application and services. 3D printing technology is revolutionizing a wide variety of industries, from manufacturing to automotive. 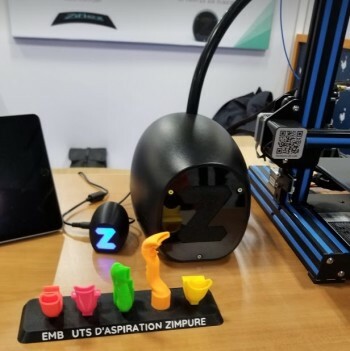 Based in the south of France, Zimple 3D develops 3D printing upgrades and offers a 3D design search engine, which it launched in early January 2019. In 2017, the company introduced Zimpure, which is a 3D printer air purifier that vacuums away nanoparticles and toxic fumes. The quiet purifier is compatible with several 3D printer models. In 2018, Zimple 3D introduced a new product called Ziflex, which is a thin build plate that makes removing a 3D-printed part safe and easy. Thin, magnetic, and flexible, the build plate adheres strongly to your 3D printer’s bed but remains easy to remove once a print is ready. Visit www.zimple3d.com for additional information and to begin using the search engine to find a 3D model. Zoi Meet offers an AI-powered translation solution for international meetings. The technology translates audio in real time and can display subtitles on any device. Users can search transcripts, take notes, compile reports, and more. According to Cofounder Kevin Oranje, a monthly subscription will be available in March 2019. Users will be able to translate and store their transcriptions. A beta version is available at www.zoimeet.jp. Oranje also shared information about Volareo, which is described as “the world’s first open-source and decentralized smart speaker to explore the exploding world of voice commerce.” There are two versions of the speaker, a consumer version and business version with business-specific apps. Oranje said the goal for the next six to 12 months is to get the product in the hands of more developers. To do so, they will develop a platform for developers to log in start working on applications. Production for the speaker wills start in February 2019. Visit https://volareo.live/ for details about Volareo. Head to www.zoimeet.com for details and updates about Zoi Meet.